2017/2018 SwiftGlimpse Yearly Academic Dry Erase Wall Calendar is available paper, laminated or framed for all your office planning needs. 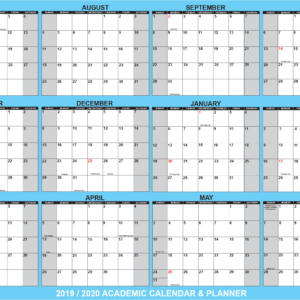 Get a large picture view with the SwiftGlimpse 2019/2020 Yearly Academic Wall Calendar. One page displays all 12 months, July – June, in one view to keep you organized all year long. Julian dates. 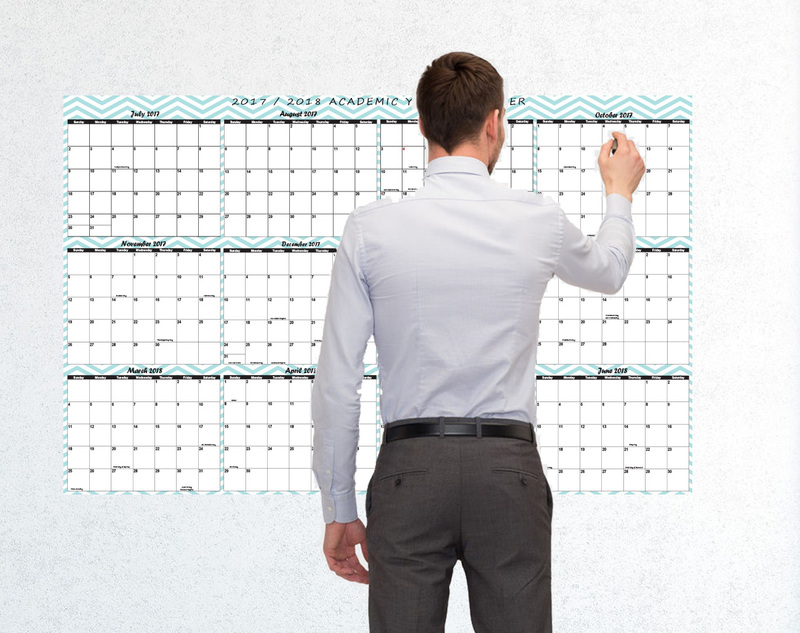 Track projects, schedule vacations or just look ahead on the 3 rows of the calendar, 4 months each. Federal holidays are highlighted in red for clear differentiation. Large unruled, daily blocks. SwiftGlimpse wall calendars will give you plenty of space to jot down important notes and reminders for the year. Features a contemporary design and printed in blue and black inks as shown on quality heavy-duty papers Made in America. SwiftGlimpse Wall Calendars are available in a variety of usable formats: compact folded paper – perfect for travelling, rolled paper, laminated, peel n’ stick or black framed. 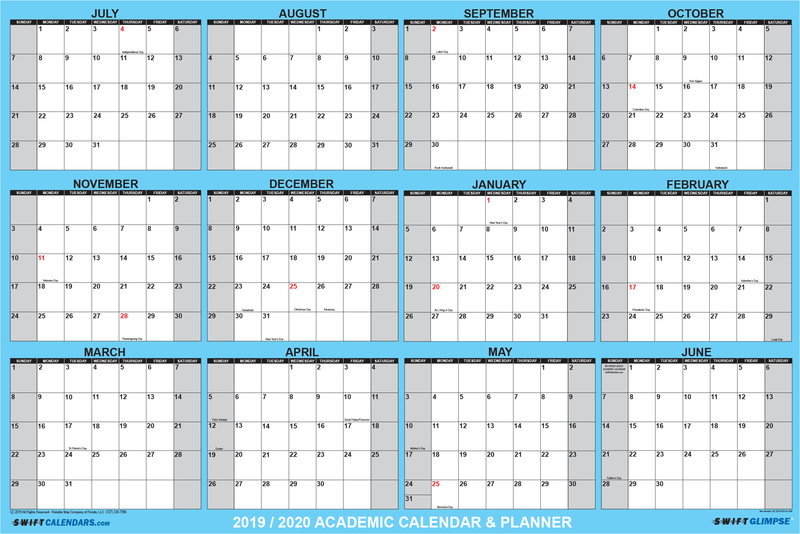 2019/2020 Academic Yearly Wall calendar covers 12 months from July – June to keep you organized all year long! 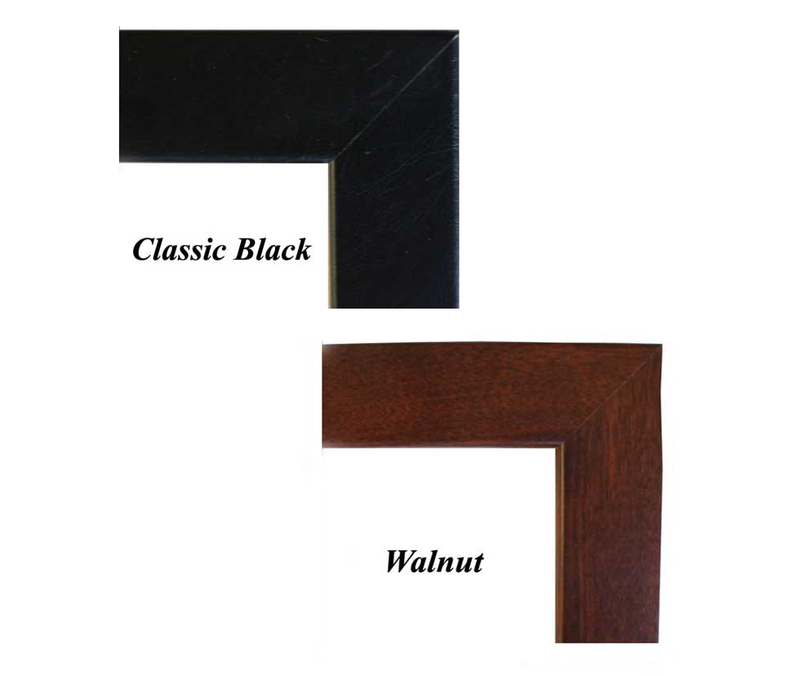 Wall Calendar features 1.25 in. x 1.25 in. blocks for scheduling and notes. Bold and large print is easier to see and read. Bright white background allows for easier viewing and reading. 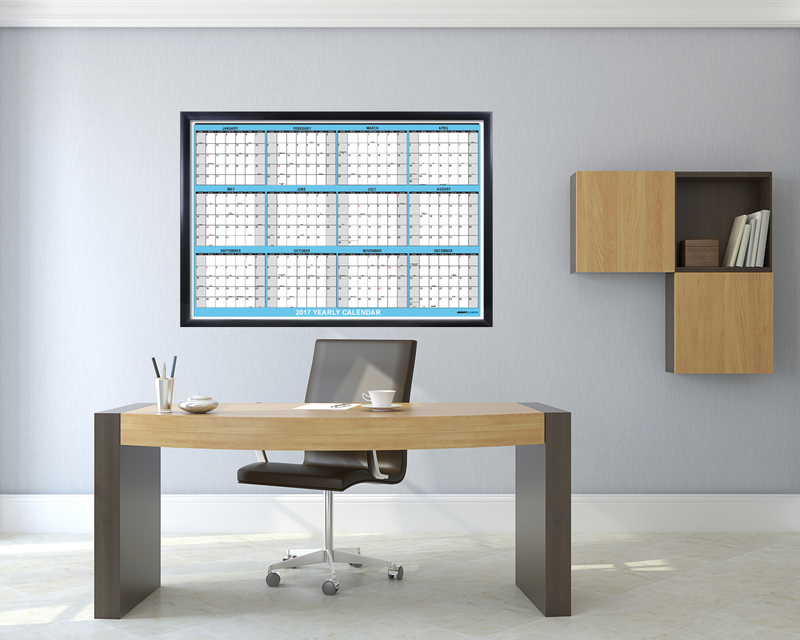 Academic Wall Calendar hangs in horizontal position – which makes for the largest daily block sizes. 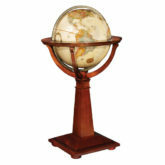 This wall map is available Paper, Laminated, Self-Adhesive Peel n’ Stick Decal or Framed.